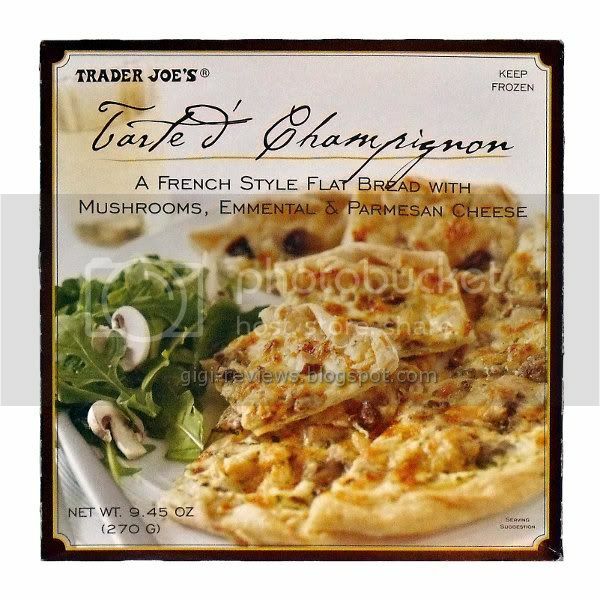 The full name of this product is "Trader Joe's Tarte d'Champignon -- A French Style Flat Bread with Mushrooms, Emmental & Parmesan Cheese." In plain English, the name of this product is mushroom pizza. That's one version of Tony I do not wish to play doctor with! 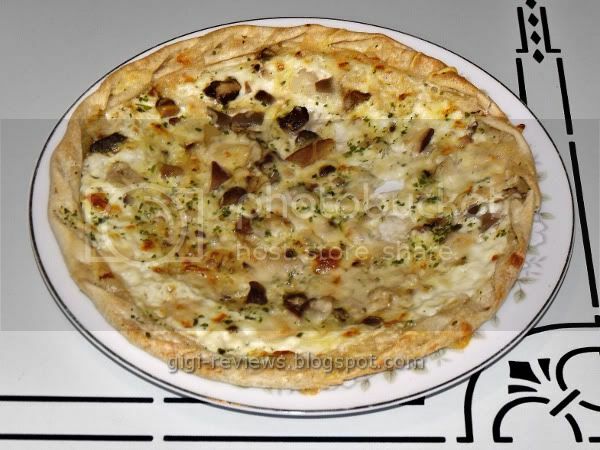 This Tarte d'Champignon is a thin puff pastry crust that is topped with a mixture of crème fraîche (if you're unfamiliar, think of the best sour cream ever -- only thicker and less sour -- and you would have crème fraîche) and Emmental cheese (sometimes also referred to as Swiss cheese in the U.S.) "sauce" (it's more of a spread). 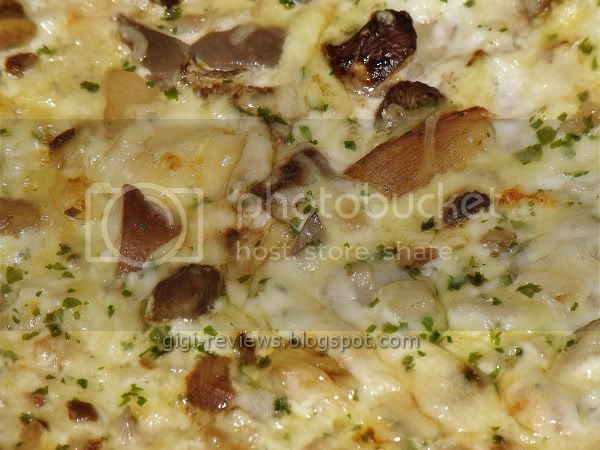 The topping has five different types of mushrooms, which include porcini, Paris, oyster, shiitake, and boletus, and then the whole thing gets a light sprinkling of Parmesan cheese and parsley. I officially don't care what they call it, because it was so good it almost takes the sting away from seeing what my once-beloved Tony Bourdain has been reduced to. The cheese "sauce": again, it's more of what I would consider a spread than a true sauce. The consistency is somewhat similar to whipped cream cheese. It's really savory. I love the tangy zip that the cheese brings. The easiest way to describe it is to tell you to think of a good, strong Swiss cheese. The mushrooms: They are a little more sparse than I would have liked, but they are meaty and moist without being soggy or rubbery. I won't lie -- outside of the porcini and the shiitake, I couldn't tell you which 'shroom was which, but they all tasted pretty darn good. This was just outstanding. Snark aside, it is waaaa-a-a-a-ay more special than a mere mushroom pizza. I really can't say enough nice things about it. Everything about it is delicious. Definitely one of Trader Joe's best frozen options. Actually, one of the best frozen foods you'll find anywhere. Made on equipment shared with eggs, fish, and shellfish. I recognize that font from the Trader Joe's Powerberries! This sounds really, really good. I'll have to pick one up next time The Man is out of town (he doesn't like mushrooms). 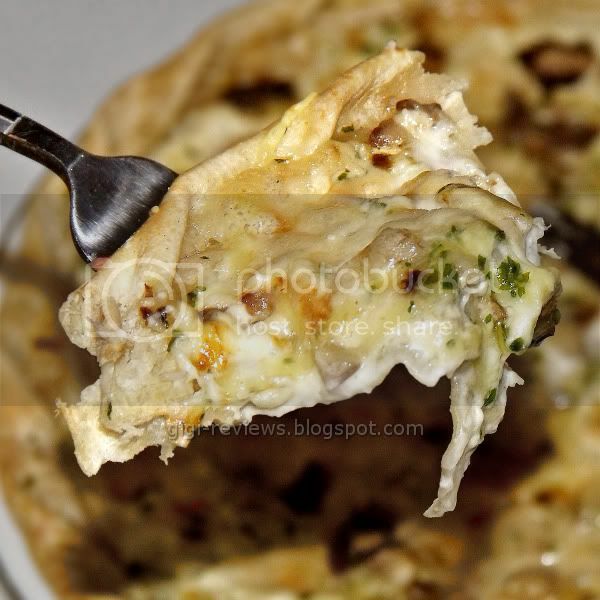 If you like the mushroom turnovers (I do to) you will LOVE this. I am actually thinking it may be dinner again tonight. Sounds yum. Bringing this the next time I'm on "appetizer duty" for the weekly moms' group/play date.